Meirion Jordan was born in Cwmllynfell, near Swansea, and studied Mathematics at Somerville College, Oxford, where he won the Newdigate Prize. 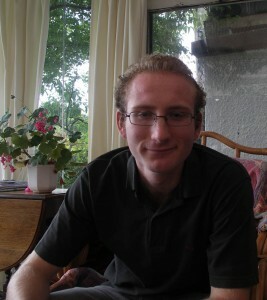 He published his first poem in Poetry Wales and his work has since appeared in a wide range of literary magazines. His first collection of poetry, Moonrise, was shortlisted for the Forward prize for Best First Collection, and his pamphlet on the history of outsiders in Norwich, Strangers Hall, was shortlisted for an East Anglia Book of the Year award. His most recent collection of poems, Regeneration, was published in 2012. He holds an MA and a PhD in Creative Writing from the University of East Anglia.